Long known as the city of light, Paris continues to serve as a beacon for the culturally curious and intellectually driven people of the world. Northwestern Medill IMC students are no less immune to the city’s call, as shown by the students who enrolled in the Medill IMC Paris program in which they took classes for 15 weeks at the Institut d’Etudes Politiques de Paris, also known as Sciences Po. Anthony Fleet, Lainey Fox and Priya Ramanathan seized the opportunity to study abroad during the fall in one of the most culturally diverse cities in the world. Fox, who also values Northwestern’s diversity, agrees, saying she wanted to expand upon her IMC experience by learning different points of view by immersing herself in an entirely new environment. “The highly international makeup of Sciences Po made it the perfect place to expose myself to countries I haven’t been to yet,” Fox said. Beyond international diversity, Fleet, Fox and Ramanathan valued the educational differences afforded them by Sciences Po’s professors as the instructional methods differed significantly from that of Medill IMC. “The classes were more theoretical and discussion based and often centered around hypothetical situations versus the client-based projects offered by IMC,” says Ramanathan. Fox and Fleet agree, adding that the different teaching style was one of the biggest surprises from the program. And they wouldn’t change a thing. 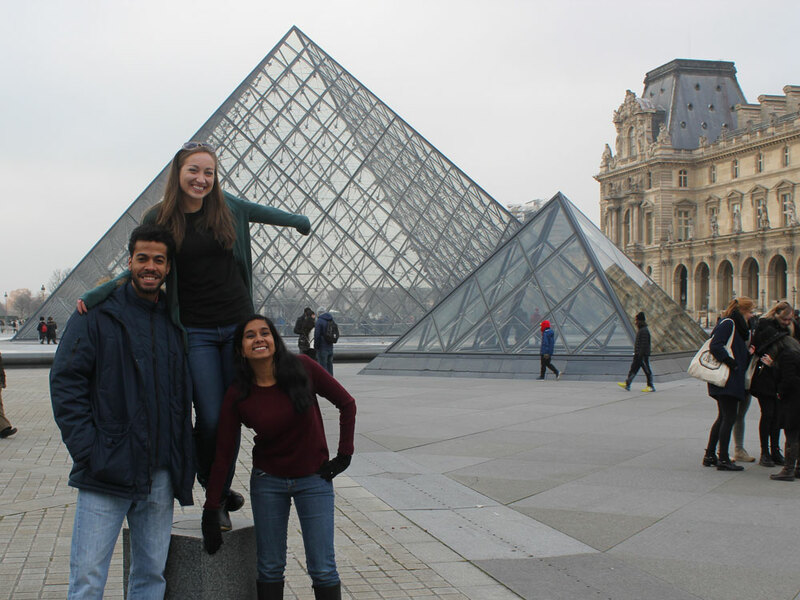 The Paris program is one of several global experiences the IMC program offers. Learn more about IMC domestic and global opportunities, including London, Asia, Paris and San Francisco.